Android, an operating system for touchscreen mobile devices such as smartphones, tablets, computers and it is owned by Google. We can develop Native and Hybrid apps for Android. Native mobile apps are designed for specific devices and its operating system and have device-specific limitation access. Native Application Framework for Android is JAVA along with Google’s Android Studio IDE. ShareSoft Technology offers Android App Development Services for the clients all over the world. Our skilled android app developers conduct an in-depth analysis of your requirements and deliver high quality apps. We develop both native android apps and hybrid android apps. Our analyst can also assist you to choose your best choice – native or hybrid, depending upon your requirements as well as the one that suits your business needs. We cover 360 degree aspect in android development starting from android app design, development, to android app customization. Our unique development process will help us to deliver the right and perfect application that you have wanted for your business. Our process starts with planning phase, studying the market research and clear cut analysis of client requirements, feasibility of technology, allocation of resources and budget, concept planning, design wireframes, testing phase for design on UI and UX. After this phase, our development process takes place that consists of – Frontend functionality development, backend code development, integration, code debugging, code compliance tests and much more. QA process comes here; the entire application goes to quality assurance check on various factors. They are usability testing, performance testing, integration testing, device testing and finally test run the application. Release the app for client approval! In each of the phase, we get feedback from the client to mold it better. Our process doesn’t end here; we also help you in submission in App Store, App maintenance support and App marketing. 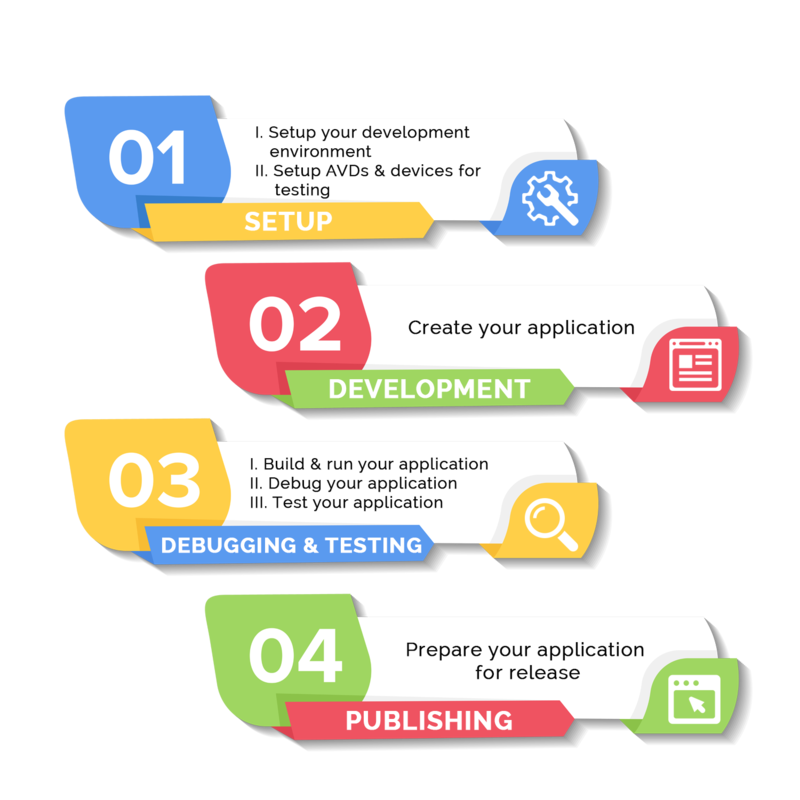 Why Choose ShareSoft Technology for your Android App Development? Looking to develop a mobile application for android? Contact us today, it’s that simple, post your requirements, we will get back to you and let us explore the options.